Addu High School has been awarded the Zayed Future Energy Prize (ZFEP) for its achievements in promoting renewable energy and sustainability. The US$100,000 reward – announced at an award ceremony in Adu Dhabi yesterday evening – was given after the school installed a 2.8kW solar project last year using funds from the UN’s Global Environment Facility Small Grants Programme. The school is now hoping to expand to a 45kW installation that will provide 100 percent of the school’s energy needs by the end of 2015. 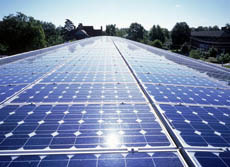 “Currently, the school takes most of its power from the electricity grid. The aim of the project is to save the school money, earn money from the sale of surplus power and raise awareness of clean energy and sustainable development among pupils,” explained the prize’s official website. The ZFEP was launched in 2008 by Sheikh Mohammed bin Zayed Al Nahyan, Crown Prince of Abu Dhabi, to commemorate the environmental advocacy of his father – himself posthumously awarded the UN’s Champions of the Earth award in 2005. The annual US$4million prize fund is divided into five categories: large corporations, small and medium enterprises, NGOs, lifetime achievement awards, and global high schools. US$500,000 for the high schools is divided into five US$100,000 awards for schools in the the Americas, Europe, Africa, Oceania, Asia, with Addu High School chosen ahead of schools in Abu Dhabi, Sri Lanka, and India. The jury of selectors included Icelandic President Ólafur Ragnar Grímsson, Virgin Group founder Sir Richard Branson, and former South Korean Prime Minister Dr Han Seung-Soo, as well former Maldivian President Mohamed Nasheed. “ZFEP’s achievements would surely bring tears of happiness to all Maldivians. Congratulations to Addu High School,” tweeted Nasheed. Nasheed also congratulated former US Vice President Al Gore, who received the ZFEP lifetime achievement award yesterday. Minister for Environment and Energy Thoriq Ibrahim – in Abu Dhabi himself last weekend for the fifth session of the International Renewable Energy Agency (IRENA) – has also offered his congratulations. The ministry revealed that discussions were to take place on the sidelines of the IRENA session regarding the start of practical work on a clean energy project to be funded by the Abu Dhabi Fund for Development (ADFD). The Dh22million (US$6 million) in concessionary loans was announced during last year’s IRENA session, with Maldivian media stating the Addu City had been confirmed as one of three areas where waste will be converted to clean energy for water desalination. It was also announced in September that the government had a five-year target to generate 30 percent of electricity from renewable energy sources, though the government has also pledged to search for oil within the Maldives’ territorial waters. Last month, the ministry completed installation of the country’s largest solar panel project, on the island of Thinadhoo in Gaafu Dhaalu Atoll. The scheme is set to provide 50 percent of the island’s electricity needs. A US$11 million 395 kW solar energy project funded by Japan was completed in the capital Malé last year, while a 100 percent solar-powered luxury resort called Gasfinolhu opens for business this month. Diesel fuel accounts for the bulk of the energy supply in the Maldives, with electricity generation taking up around 40 percent. Petrol products also constitute one third of the country’s imports, amounting to around US$570 million in 2014. The government has announced a five-year target to generate 30 percent of electricity used during daylight hours in the 196 inhabited islands of the Maldives from renewable energy sources. Briefing the press today on the UN Climate Summit 2014 held yesterday, Environment Minister Thoriq Ibrahim that efforts were already underway to install solar panels in some islands such as Thinadhoo in Gaaf Dhaal atoll. “Electricity will be provided from solar panels in Dhaal Kudahuvadhoo, Raa Ungoofaru and Kaafu Dhiffushi very soon. Work is underway in an additional five islands,” the minister was quoted as saying by newspaper Haveeru. The government was in the process of formulating a low carbon energy policy, he said. Referring to the impact of climate change on the Maldives, Thoriq noted that 116 islands were facing beach erosion, with severe erosion in 64 islands. Coastal protection projects have been undertaken in several islands, he added. The International Renewable Energy Investor’s conference, focusing on the development of solar energy in the Maldives, took place yesterday (March 26) at Bandos resort. The one-day conference – organised by the Ministry of Environment and Energy with the World Bank – aimed to transform the Maldives’ energy sector by reducing the dependency on costly fossil fuels for power generation. The ministry reported that a total of 78 participants from government organisations, the World Bank, foreign consultants and investors discussed photovoltaic (PV) systems which could be established in Malé and Hulhumalé, as well as a framework for subsidies. The conference came after the government last week outlined it’s strategic aims for renewable energy in a proposal named Accelerating Sustainable Private Investments in Renewable Energy programme (ASPIRE). Published March 21 2014, this report details some of the difficulties faced by the Maldives, as well as future plans to increase the proportion of sustainable energy consumed in the country. Submitted by the government and the International Bank of Reconstruction and Development, the proposal asks for a US$10,683 million grant in funding from the ‘Scaling Up Renewable Energy Programme’. “The Government has no current stabilization program with the International Monetary Fund. The prior program lapsed in 2009 and most of the measures were reversed. The World Bank started a Development Policy Credit in 2010 for economic stabilization and recovery that was also cancelled due to lack of progress,” states the ASPIRE proposal. Diesel fuel accounts for the bulk of the energy supply in the country, about 82.5% in 2009, according to ASPIRE. Therefore, the report suggests a move toward renewable energy as a means of improving “economic difficulties”. “The development of solar PV projects is expected to improve the country’s fiscal situation by reducing both the volume of fossil fuel imports, as well as the fiscal uncertainty arising from fuel price volatility. This would also replace the expensive diesel based generation and result in significant reduction of the government subsidy,” the report confirms. Similar reforms to the energy sector chimes were set to be rolled out two years ago, before the unstable political situation led to its premature demise. On the afternoon of February 7, 2012, the Maldives was set to sign in a revolutionary plan to attract an estimated US$200 million of risk-mitigated renewable energy investment. The Scaling-Up Renewable Energy Programme (SREP) proposal was produced by the Renewable Energy Investment Office under President Mohamed Nasheed’s administration. The World Bank team working on the project had given verbal approval for the plan, reportedly describing it as one of the most “exciting and transformative” projects of its kind in any country. Abu Dhabi media reported that in January 2014 The Abu Dhabi Fund for Development (ADFD) pledged Dh22million (US$6 million) in concessionary loans for clean energy projects in the Maldives. The announcement came as Abu Dhabi hosted the Fourth Assembly of the International Renewable Energy Agency (IRENA) – attended by a delegation from the Maldives. “Maldives does not have the luxury of time to sit and wait for the rest of the world to act and that Maldives has started the transition from fossil fuels to renewable energy,” Maldivian Minister for Environment and Energy Thoriq Ibrahim told the assembly. The project will benefit 120,000 people, with a reduced need for landfills, the generation of 2MW of clean energy, and the production of 62 million litres of desalinated water per year. Shortly after this award, the Maldives carried out a pioneering desalination project on the island of Gulhi, in Kaafu atoll, which became the first place in the world to produce desalinated drinking water using waste heat from electricity generation. While these projects indicate advances toward renewable energy, the government has also pledged to seek crude oil as an alternative means of diversifying the economy and supplementing fuel supply. According to local news outlet CNM, during a speech made by President Abdulla Yameen on March 16 he pledged to begin the search for crude oil. He went on to say that if the government is indeed successful in finding oil in the Maldives, the outlook for the entire country would change for the better. Minivan News was unable to contact State Ministers from the Ministry of Environment and Energy for further comment at the time of publishing. The Abu Dhabi Fund for Development (ADFD) has pledged Dh22million (US$6 million) in concessionary loans for clean energy projects in the Maldives, Abu Dhabi media has reported. Local newspaper ‘The National’ has reported that the loans will provide half of the funds for a waste to energy project that will address both environmental and health issues in the Maldives. The states selected to receive the ADFD loans were chosen upon the advice of IRENA – an intergovernmental organisation mandated by its 124 state members to promote the adoption of renewable energy. Amongst the other states receiving a share of the Dh150 million (US$40.8 million) package of loans – selected from 80 applicants – were Mali, Mauritania, Sierra Leone, Ecuador ,and Samoa. “These projects show the real impact of Irena in the world,” ‘The National’ quoted Chairwoman of the IRENA Advisory Committee Ilona Antoniszyn-Klik as saying. “The selection criteria used in the project review ensured that these six projects selected are representative of geographic spread of the agency membership and cover a variety of renewable-energy technologies,” said Antoniszyn-Klik. The Maldives – a member of the group since 2009 – was represented at the forum by a delegation including Minister Thoriq, Minister of State for Environment and Energy Abdul Matheen Mohamed, Ambassador to the UAE Dr Aishath Shahenaz Adam, and Director General of Ministry of Environment and Energy Ahmed Ali. Addressing the the high level IRENA plenary session, Thoriq noted that despite being an insignificant contributor to climate change, the Maldives was taking bold steps to move towards renewable energies. “He assured that Maldives stands and will continue to be at the frontline combating climate change,” reported the Ministry of Environment and Energy. The delegation will be in attendance throughout Adu Dhabi Sustainablility Week, which features an array of exhibitions and conferences in the wings of the 7th World Future Energy Summit. The week is expected to be attended by over 30,000 people from 150 countries. Last month, the European Union pledged a further €4million to address climate change in the Maldives, bringing its total contributions to €38million over the past four years. December also saw the signing of a climate protection agreement between the Maldives and German governments. The agreement consists of a €3million grant to be split between a solar panel project and the development of low-carbon guidelines for local businesses. In a recent report titled ‘Turn Down The Heat’, the World Bank reasserted the urgent need for concerted efforts to support the Maldives in adapting to climate change, due to a projected sea level rise of 115 centimetres by 2090. In the document, a 4 degree Celsius (7.2 degrees Fahrenheit) global temperature increase was predicted by the end of the 21st century unless concerted action is taken immediately. Based on the report’s findings, the World Bank has highlighted the urgent need for concerted efforts to support the Maldives in adapting to climate change. The “Assessment of Climate Finance Governance in Maldives” report published by local NGO Transparency Maldives (TM) has revealed a number of concerns in climate finance governance. The report indicates the Maldives has been pledged US$ 99,280,073 in grants, US$ 20,380,000 in loans and US$ 48,506,276 from multi-lateral and bilateral donors, for co-financing projects from 2008 through 2015. Projects focus mainly on mitigation, adaptation and capacity building, and cover a wide range of areas from waste management, conservation, water resource management to education and development of renewable, clean and sustainable energy. It was conducted as part of the “Climate Finance Integrity Programme” piloted by Transparency International in six countries to monitor the raising, managing and governance climate related finance. TM noted the need for increased transparency in the decision making process, including the selection of islands for different projects to allowing civil sector groups to monitor and review priorities. According to the report, project locations are prioritized by implementing agencies such as Ministry of Energy and Environment without the involvement of donor agencies. As the criteria for island selection is not visible in any records, “there is a strong incentive for political maneuvering in island selection,” the report said. This issue is not specific to climate change projects but seems to be the general trend, it added. Transparency Maldives has proposed the establishment of a clearly identified and comprehensive climate policy and strategy to “ensure selection of projects is aligned to strategic goals and not to personal or political gain”. The report also noted “serious concerns” in the availability of accurate and up-to-date information on projects and their progress. The public is said to have no access to a comprehensive list of climate projects at present. A government website isles.egov.mv created in 2009 to increase transparency is still being managed by the President’s Office instead of the central monitoring agency, the Office of Programmes and Projects (OPP), as planned. Further, the website is not regularly updated, the report said. Discrepancies in available financial information of projects from different sources was also reported. “It remains a challenge for ordinary citizens to gain access to information from the Government of Maldives with many restrictions included in accessing information,” the reported said. Another issue highlighted was insufficient external monitoring of climate change projects, mainly because of the shortage of information reported to the OPP. Due to this, the reporting of monitoring and evaluation of climate projects is done solely by the implementing agencies such as the ministry. Donors must encourage project reporting to a national monitoring agency to increase transparency and public access to such information, the TM said. Weakness in oversight was also mentioned in the report, referring mainly to the Auditor General’s Office (AGO) and Anti-corruption Commission (ACC). Donors have limited access to some AGO documents due to language barriers, while implementation of recommendations in audit reports are not followed up until the next audit, the report said. No complaints concerning climate finance have been lodged to or investigated by ACC, however, the ACC has provided recommendations on instances where inefficiencies could risk corruption. But the report found the ACC also does not monitor the implementation of their recommendations. The assessment highlighted that it was “not clearly evident” whether the parliament reviewed or analyzed reports submitted by independent institution or the OPP, as no such reviews have been published. TM has proposed a number of recommendations for specific parties involved in climate finance governance, and plans to conduct a more in-depth governance assessment of the Ministry of Environment and Energy – the institution which receives the largest portion of climate finance projects. Environment Minister Dr Mariyam Shakeela has announced plans to develop a cooling system at Ibrahim Nasir International Airport (INIA) that will make use of seawater to reduce reliance on fossil fuels at the site, according to local media. “We can try to create energy with seawater and use it to cool places. We are looking to cool the entire airport using water taken from around 1,000 metres below the surface of the sea in the near future,” she was quoted as saying by local newspaper Haveeru during a ceremony held yesterday (July 23). Speaking at the event, Dr Shakeela reportedly highlighted the importance of enhancing the use of renewable energy in the Maldives, while also identifying a lack of “positive response” from state institutions in curbing use of fossil fuels or adopting alternative technologies like solar and wind energy. The announcement was made after participants in attendance at the Maldives International Renewable Energy Investors Conference last month claimed political instability was presently a major concern hampering foreign investment in the sector. The two day event, which concluded on June 17, aimed to facilitate long-term partnerships between international investors, project developers, energy companies and utilities groups in order to enable successful renewable energy projects throughout the Maldives. Participants attending this week’s Maldives International Renewable Energy Investors Conference consider the event a “good beginning”, but claimed political instability was presently hampering foreign investors’ confidence in the sector. The two day event, which concluded yesterday (June 17), aimed to facilitate long-term partnerships between international investors, project developers, energy companies and utilities groups in order to enable successful renewable energy projects throughout the Maldives. The Ministry of Environment and Energy hosted conference at Bandos Island Resort and Spa in an effort to boost investor confidence and attract renewable energy financing. Although Environment Minister Dr Mariyam Shakeela noted that the conference was successful, she also urged participants to “reflect on our mutual needs” and emphasised that investments will be “protected, facilitated, and supported by the government” during her concluding speech yesterday. “Your need to promote your [renewable energy] products and our need to reduce energy costs – that of course is a huge issue as was mentioned here so many times – and also of course to combat climate change,” said Shakeela. “We currently rely extensively on imported fossil fuels, as we have heard here over and over and over again these last few days. Yet paradoxically, many islands have ample but underutilized renewable energy resource potential,” she continued. “The Ministry of Finance and Treasury is working to create an enabling environment for investments in general, which I believe is a concern of a lot of investors,” she added. Meanwhile, Maldives-based representatives from the World Bank (WB) and Asian Development Bank (ADB) present at the conference pledged their continued support in an effort to attract renewable energy investors. ADB Director Mr Yongping Zhai pledged to “go as far as it costs” to transform Maldives into a renewable energy dependent country, as opposed to oil dependent, according to the Environment Ministry. However, he noted that although the Maldives has the commitment, market potential, resources, and willing investors for renewable energy, there is a “missing link to put these pieces together”. The WB considered the conference to be a “good initial first information gathering” event for facilitating renewable energy investments and emphasized that it was working very closely with the Maldives government to develop the energy sector and national financial institutions, said WB Senior Energy Specialist Abdulaziz Faghi. In an effort to boost investor confidence, the Environment Ministry emphasised the WB would guarantee any investments made in the Maldives. “One of the issues facing the private sector investing in any sector is the payment guarantee and their concern with the return on investment,” State Minister for Environment and Energy Abdul Matheen Mohamed told Minivan News yesterday. He explained that the government of Maldives has allocated US$5 million from the International Development Association (IDA) financing though the World Bank, which will be leveraged up to US$ 25 million. “So basically the World Bank will be issuing a guarantee for this amount to give guarantees to the investors investing [funds] under the scaling-up renewable energy program (SREP) investment plan,” said Matheen. He noted that conference participants concerns have “been resolved though the guarantee facilities introduced by the World Bank”. Following the conference yesterday, Renewable Energy Maldives Managing Director Dr Ibrahim Nashid told Minivan News that he believed banks and foreign investors crucial to revitalising the national energy “didn’t turn up” at the event. “The main idea was to bring investors here, but I don’t think that has happened,” said Nashid. He explained that while Maldives-based institutional representatives from the WB, ADB, United Nations Development Programme (UNDP) and various other Maldivian institutions attended the conference, individuals with authority to authorize lending and/or donor funds were not present. “ADB was saying they have earmarked funds for the Maldives, but their idea was also to leverage that with some other lending institution and that was not there,” he added. Nashid noted that none of the Maldivian banks were present at the conference. “The Islamic Development Bank (IDB) was there, but not the Islamic Bank in Male’, even the Bank of Maldives didn’t attend,” said Nashid. “It shows the confidence that everybody has, [which is] the reason the World Bank is talking about giving a bank guarantee,” he continued. Although Minister Shakeela was asked many times about what the government would do to guarantee investments “she skirted the question saying the ADB and WB is giving the guarantee,” according to Nashid. Nashid claimed that most conference participants who discussed renewable energy investments said a decision would not happen until after the presidential election scheduled for September. “We need political stability here, without political stability I don’t think any project is going to take off,” said Nashid. “We can do the preparation of paperwork, etc. but money will not be put on the table. That’s the message we get from abroad,” he added. These sentiments were echoed by conference participants representing various private sector businesses. “It was a good start, but this is really just a beginning. There were not very many investors present,” an infrastructure company representative told Minivan News on condition of anonymity. “The three things investors are looking for are credibility, stability, and return on the investment,” a telecommunications company representative told Minivan News on condition of anonymity. The source explained that political instability was the main concern preventing investors from committing to renewable energy development. He also agreed with another conference participant’s observation that political instability in the Maldives was the ‘elephant in the room’ at the event. “There were very few investors present, which is not surprising. No one is going to be eager to invest [in developing renewable energy] until after elections,” he added. Transparency Maldives has called for stronger anti-corruption climate finance safeguards, following the government’s declaration it would establish a ‘green fund’ that would merge all climate change, conservation, and sustainable development project trust-funds. President Mohamed Waheed Hassan Manik’s cabinet proposed a Maldives “Green Fund” be established, which would merge all the currently established trust funds in accordance with the government’s Biosphere Reserve sustainable development policy. The purpose for merging the funds would be to enable cost reductions and strengthen operational efficiency for foreign investments for waste management, water management and renewable energy projects. Shortly following this April 30 announcement, Transparency Maldives called for “stronger anti-corruption safeguards in climate finance” as part of the civil society recommendations presented to the Minister of Environment and Energy Dr Mariyam Shakeela during the “NGO Forum on Environment and Sustainable Development 2013” held May 5. During the NGO forum, Transparency Maldives Chairperson Mohamed Rasheed Bari called on the government to strengthen governance mechanisms by including stronger standards of transparency, accountability and integrity. Currently, climate funds are “scattered” because there is no consolidated national governance mechanism with a proper internationally governed governance structure in the Maldives, Transparency Maldives Climate Governance Senior Project Manager Azim Zahir told Minivan News today (May 19). “In principle establishing a ‘green fund’ to consolidate climate change mitigation and adaptation money is ‘ok’ as long as it adheres to international best practices and good governance standards,” said Zahir. The Environment Ministry had not responded to inquiries at time of press. The source explained that conflicting ministerial mandates and unclear rules have created redundancies and left civil servants “confused”. “I find it strange the Ministry of Environment does not have a climate change department, considering they are the people in charge of the entire amount of funds,” the source added. “One person is in charge of massive [amounts] of funds. There is a lack of human resources within the Environment Ministry. Only a couple of people have dominated [climate change projects] since the 1990’s,” claimed the source. Some people within the ministry working on foreign aid projects write themselves in as project staff as well to in order supplement their “really low” monthly government salaries of MVR 6000 to MVR 8000 (US$ 389 to US$ 519), alleged the source. “The same people work on each project, they don’t have new people,” the source claimed. “These senior civil servants say the Environment Ministry lacks capacity and young people with knowledge and technical skills, however they are not providing training and opportunities [to the newer civil servants]. “They have a complete monopoly on knowledge” which is not being properly diffused, the source added. After the Foreign Ministry has signed a bilateral agreement the funds are transferred to the Finance Ministry, which then allocates the money to the applicable ministry or government agency, according to the source. Most climate projects were handled under the Ministry of Housing and Environment during former President Mohamed Nasheed’s administration, the source explained. Additionally, the President’s Office also undertook many climate change initiatives and established the Presidential Advisory Council on Climate Change in 2009. “The council still exists on paper and while some people within the President’s Office said the council members have been changed [following the controversial transfer of power February 7, 2012], no one has been informed if they have been fired. They have no idea what’s going on,” alleged the source. Additionally, the National Planning Council (NPC) – chaired by the president and consisting of various ministers and civil society representatives – was formed in February 2009 to coordinate equitable sustainable development nationwide. Under President Waheed’s government the Ministry of Housing and Environment was split to form two new entities, the Ministry of Housing and Infrastructure as well as Energy and Environment. Due to the these changes and ongoing government instability “There has been a significant change in the process of how the project [cycle] works,” explained the source. An additional reason Waheed’s administration “differs” from Nasheed’s is the current government “has not been ‘very keen’ on cooperating with civil society,” alleged the source. “Previously they behaved really unprofessionally toward certain NGOs, however since the latter half of 2012, the government has started to try and engage NGOs and civil society – maybe to increase the administration’s legitimacy,” the source continued. “A positive is the Environment Ministry under Waheed’s administration has been very active. They actually try to do things,” the source noted. “However, the government consults civil society stakeholders after they’ve already decided everything. They invite NGOs to listen to their opinions, but do not seek their input during the project planning phase,” the source added. “Ultimately, most [climate finance] problems apply to both administrations, under Nasheed and Waheed,” the source added. “There are three umbrellas – the Maldives Environmental Management Project (MEMP), the Climate Change Trust Fund (CCTF), the Sustainable Renewable Energy Project (SREP) – under each there are different components,” Environmental Protection Agency (EPA) Environment and Social Safeguards Coordinator Ibrahim Mohamed told Minivan News earlier this month. “The idea is that these projects be developed in such a way that the entire nation becomes a biosphere reserve, that’s the overall goal,” he added. The MEMP umbrella is a US$ 13.88 million World Bank loan, approved in 2008 and set to close in 2014. “The MEMP is a soft loan in the sense the interest is very less, and this project also has several components,” said Mohamed. “Only one component is solid waste management, focused in Ari Atoll. Other areas include environmental monitoring, training and capacity building, and a bachelor of environmental science was established at the Maldives National University (MNU),” he continued. “There is also a renewable energy component to install solar roofing of public buildings on Thinadhoo [Island in Huvadhoo Atoll], so at least 25 percent of their energy will come from solar. That component also has awareness and training on energy efficiency and conservation of energy. The US$ 9.5 million CCTF picks up where MEMP left off, according to Mohamed. “Under the CCTF umbrella we have three components: clean energy for climate mitigation, wetland conservation and coral reef monitoring, as well as solid waste management,” Mohamed explained. “The World Bank is managing the donor money from the CCTF. They don’t finance directly to the government, because they want it to be managed by a reliable, transparent, international fiduciary system. “The CCTF idea is that the project(s) we develop becomes an exemplary example for other small island states,” he added. The CCTF was established in 2010 after the signing of an MOU between the Maldives government, the World Bank Group and the European Union with the aim of targeting solid waste management, capacity building for environmental management, and technical assistance for monitoring and managing key natural assets. The US$138 million SREP was established in 2012 to generate 16 megawatts of renewable energy on 50 islands in the next five years. The SREP scheme was directly related to the Scaling-up Renewable Energy Program (SREP) originally planned to be submitted to the World Bank in February 2012, but was not due to the political upheaval that resulted from Nasheed’s controversial resignation February 7, 2012. Additionally, the Maldives has received Global Environment Facility (GEF) grants totaling US$14,443,426 – that leveraged US$35,176,820 in co-financing resources – for 10 national projects, four regional projects, and eight small grants. The project areas focus on climate change, biodiversity, international waters, land degradation, persistent organic pollutants, and the ozone layer. The GEF is an independently operating financial organisation that supports national sustainable development initiatives and addresses global environmental issues by working in partnership with the United Nations, United Nations Development Programme (UNDP), and Asian Development Bank (ADB) as well as civil society organisations and the private sector. The GEF “unites” 183 countries with these actors and claims to be the largest public funder of projects to improve the global environment. “The EU has suggested that the Maldives’ government look at one atoll with the potential for populations to move and to live and do more projects there – such as waste management, clean energy, protection, preservation, adaptation – all things in one big area, so that these things will be more visible,” said Mohamed. 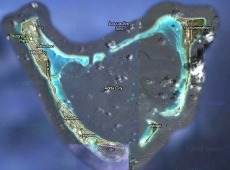 “If all the components go into one atoll they will become more climate resilient,” he added. With the launch of a US$ 3.83 million eco-tourism wetland conservation project, the Maldives continues to push forward with climate change mitigation and adaptation initiatives, aiming to serve as a model for small island states. The Environment Ministry eco-tourism initiative will create wetland conservation areas and enhance drainage systems on Hithadhoo Island – an administrative district of Addu City – and on Fuvahmulah Island, in the far south of the Maldives. The project aims to address climate change impacts by mitigating flooding and erosion due to storm surge, enhance fresh water security, as well as create economic benefits from these sustainable conservation initiatives. Additional mitigation and adaptation components of this Climate Change Trust Fund (CCTF) supported project include coral reef monitoring in Kaafu Atoll, and rainwater harvesting on Ukulhas Island in Ari Atoll. “This is the first such project in the Maldives with a conservation plan to develop eco-tourism on an inhabited island. Developing a firm and systematic plan to manage and gain economic benefits from these wetland areas could play a vital role in changing the interpretation of the people regarding them,” Environment Minister Dr Mariyam Shakeela told local media during the project’s inauguration ceremony yesterday (May 7). “We strongly believe that the environment is the only asset that the Maldives has to market ourselves to the international community,” Vice President Mohamed Waheed Deen said while speaking at the project launch. “Our beauty, whether it is underwater, above water, or wetlands, these are all God’s blessings, nature’s blessings. Unless we know how to look after God’s blessings they will disappear,” he added. The Vice President also thanked the international community and project donors for recognising that the Maldives has been a minor contributor to global pollution, particularly greenhouse gas emissions, but has “quite unfortunately become a victim” of the resulting climate change impacts. “I sincerely support the world community for lending support to the Maldives because we believe this is the only way we can make our land, our assets economically viable, and sustainable,” stated Deen. He emphasised that once the environment has been degraded, it is not possible to restore to its original pristine state, therefore properly implemented environmental conservation can also develop the Maldives’ economy. Deen noted that the Maldives’ environmental policies have “never changed” and the current government are also “strong environmentalists”, akin to former President Maumoon Gayoom and former President Mohamed Nasheed. “The Government of Maldives will assure you that the environmental policy maintained by the last two presidents is still maintained,” he stated. The Wetlands Conservation and Coral Reef Monitoring for Adaptation to Climate Change (WCCM) project will be implemented in three phases over 18 months, to be completed in September 2014. Phase one consists of developing a conservation plan, designing an eco-tourism methodology, and improving water drainage systems. During phase two, eco-tourism facilities will be established in addition to continued water drainage “system rehabilitation”. Phase three includes commissioning a RAMSAR (convention) wetland and national park with eco-tourism. “The idea is that these are terrestrial wetlands, in the vicinity of the community, so we are trying to manage these protected areas with the help of the community,” Environmental Protection Agency (EPA) Environment and Social Safeguards Coordinator Ibrahim Mohamed told Minivan News yesterday. Mohamed explained that the nearby communities will be the main implementing partners managing the wetland areas and local NGOs are hoped to contribute as well. A “pool of people” will be trained to manage the areas and act as tour guides. “There will be a visitor centre and a fee and go into the area accompanied by tour guides, it’s going to be like a national park,” said Mohamed. “These are very beautiful places, that you will immediately sense are very different from the rest of the Maldives, given the [large] size of the islands and the unique way they are connected. 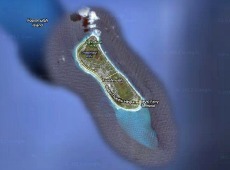 “In Fuvahmulah there are huge fresh water bodies, swampy areas in the depressions of the islands. While the Hithadhoo wetlands are a huge area with mangroves. There are so many birds here, you will always see so many,” he added. Spanish company Hidra has been hired to prepare the phase one components over the next five months, including the community-based wetland management plan, for which extensive public consultations – including students – are being conducted. “Then we will start the civil works, such as making the nature trails, visitors center, and bird watching areas,” said Mohamed. The coral reef monitoring component of this conservation project will involve partnering with resorts in Kaafu Atoll, explained Mohamed. They will be trained by the Environment Ministry to monitor water surface temperatures, erosion, biodiversity, bleaching, impacts on fish, as well as “fish landings” to determine where fish being brought to the resorts are caught. The goal is long-term monitoring of reefs nationwide, however this project will begin by looking at five. Currently coral reef monitoring is limited, because it primarily focuses on bleaching and is only conducted twice annually, in accordance with the monsoon and dry seasons, according to Mohamed. “We have started developing the database and the [monitoring] protocols, which have been peerreviewed by international reef ecologists,” said Mohamed. “The idea is that over 10 to 15 years we will know what is happening to the coral reefs, so that we can determine the impacts from climate change,” he added. Mohamed stated that the overall goal is for these wetland and coral reef areas – and the entire nation – to be protected and developed sustainably to become biosphere reserves. He further explained that the idea behind this CCTF project is for the Maldives to become an exemplary example for other small island states. “This project can be replicated anywhere in the world, all small island countries can utilize [what the Maldives has developed],” he added. The holistic approach to wetland and coral reef conservation is necessary because the components are “so interrelated”. “If you don’t properly manage waste there will be impacts on coral reefs, etc.,” noted Mohamed. The CCTF serves as the “main umbrella” under which there are three projects in the Maldives: the WCCM, clean energy for climate mitigation, and solid waste management. The WCCM in particular is supported with donated funds from the European Union and Australian Aid, and managed by the World Bank.